The tube station is named after the closest gate into Kensington Gardens which itself was named to honour Queen Victoria, Duke of Lancaster. It is one of the ‘narrow’ tube stations, without the horizontal space for escalators. Instead, it has two lifts and a spiral staircase. You are encouraged to use it on the way down, although warned about its use on the way up. I felt my lack of exercise was enough of an emergency that I’d walk up each evening as well as having walked down in the morning. 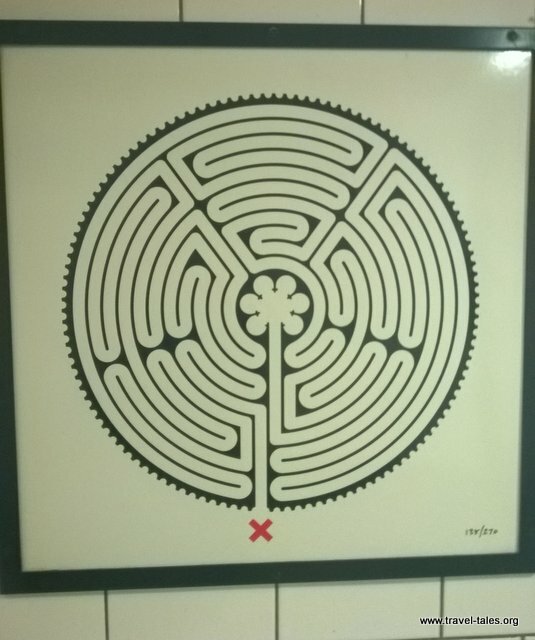 It is one of 270 different labyrinth designs created by Mark Wallinger to celebrate 150 years of the underground. They are numbered 1 to 270 and it is possible to travel to them in order (I think) starting in the north east of London and ending at Heathrow. A challenge for another time perhaps. On that picture, you will see the white tiles on the walls. 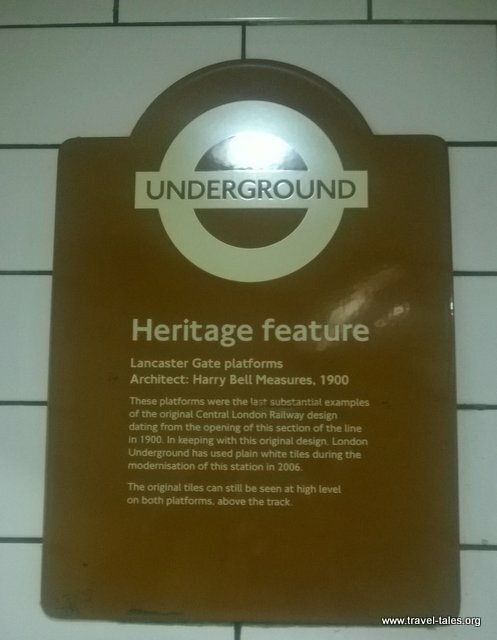 Although the current ones are new, installed during a renovation, there remain some very old white tiles in Lancaster Gate tube station above the tracks. 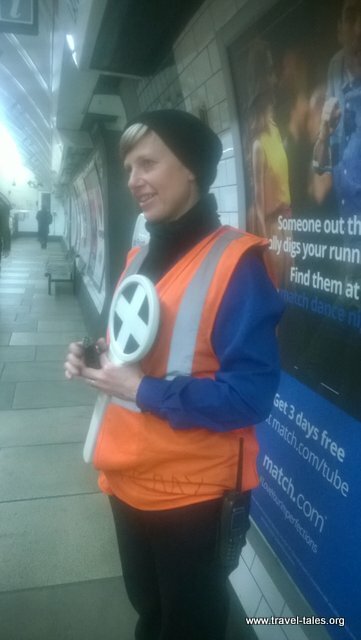 Once on the platform, this lady spends a lot of her day telling us passengers to keep away from the edge of the platform, asking us to move along the platform away from the entrances and telling us where the next train terminates. Despite having to continuously repeat herself, she always sounds patient and helpful. On my way to Bank station, the train slowly passes through Tottenham Court Road tube station, which is currently closed to the Central Line. Again, train drivers repeat this information every day, each time they pass through it.